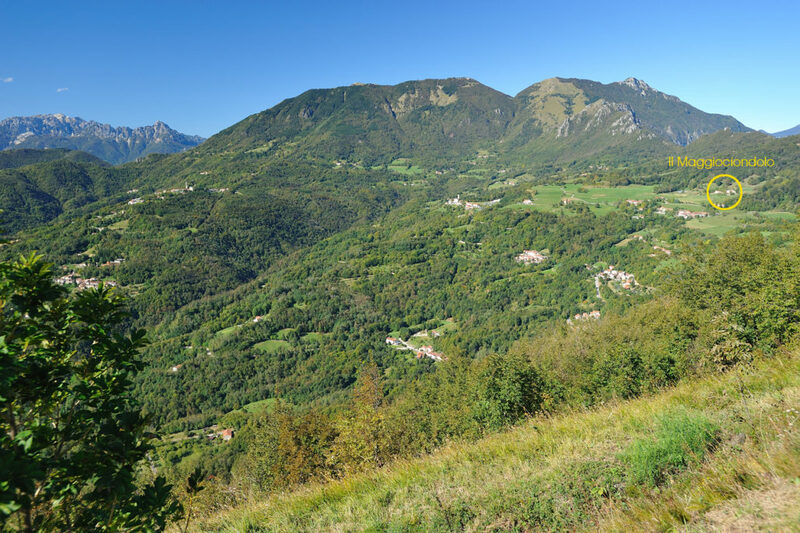 The Maggiociondolo Agricultural Tourism is situated in the Tretto Plateau at 1 Contrà Proveste, near the hamlet of S. Rocco di Tretto, , in the municipality of Schio (Province of Vicenza). It is easily reached by car along a municipal road completely paved, which in 15-20 minutes connects the city center to its periphery mountains. Motorway A31 (Valdastico), exit Piovene Rocchette (the last exit). Continue for about 10 km. Follow the signs for Schio along the provincial road SP350 until reaching and passing the area called Santorso. Before arriving in Schio, in the area of Timonchio (at the 62nd km of the provincial road, corresponding to the second intersection with traffic lights) turn right and take the provincial road SP65 (direction for the Tretto area). Follow the provincial road SP65 for about 2 km, and then turn right off this road in the direction of the hamlet of S. Rocco. Continue along the municipal road for 6 km (please note: some navigation/GPS systems suggest taking an older route along a dirt road. It is strongly suggested to ignore this direction and proceed to the destination on the paved road). Once you have reached the hamlet of S. Rocco, turn right immediately after the coffee shop (“bar” in Italian), a road which you will find right before the small square with the church. 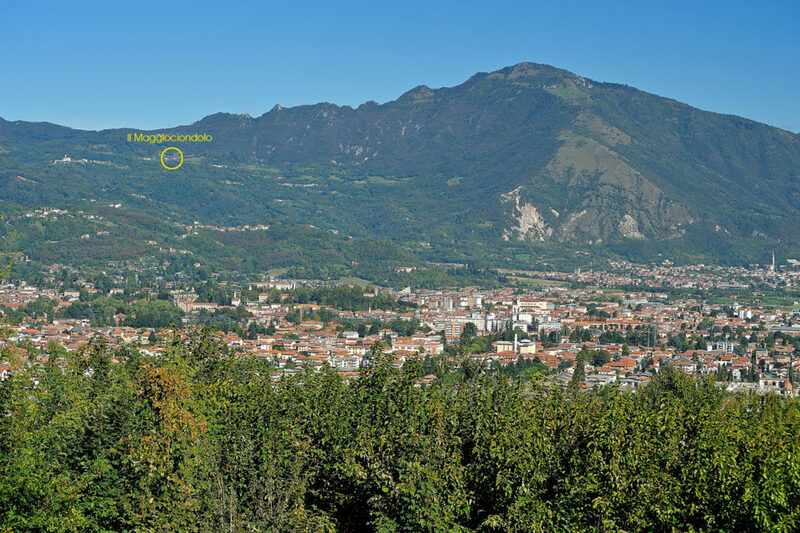 The direction is indicated for Monte Summano. Follow this road for one more kilometer until you come to Contrà Proveste Street, and you have arrived! You will see the Maggiociondolo Agricultural Tourism in front of you, slightly to your left. The city of Schio has a train station with a train going to Vicenza every hour. Vicenza train station is along the train line which runs from Venice to Milan. 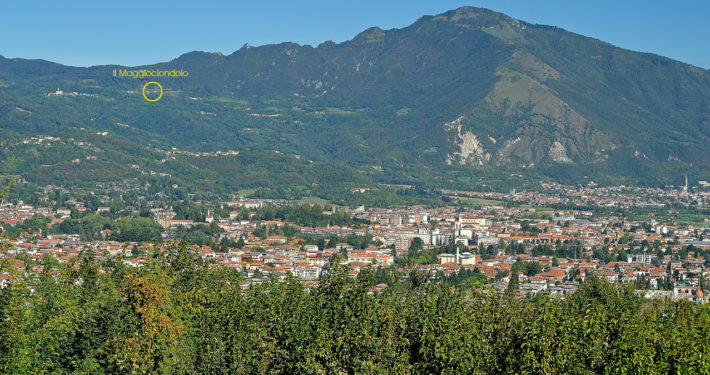 Once you have arrived at the Schio train station you need to continue by bus in order to reach the outskirts of the city. In Divisione Aqui square (piazzale Divisione Aqui) one can find the central bus station which offers bus service to the Tretto Plateau. 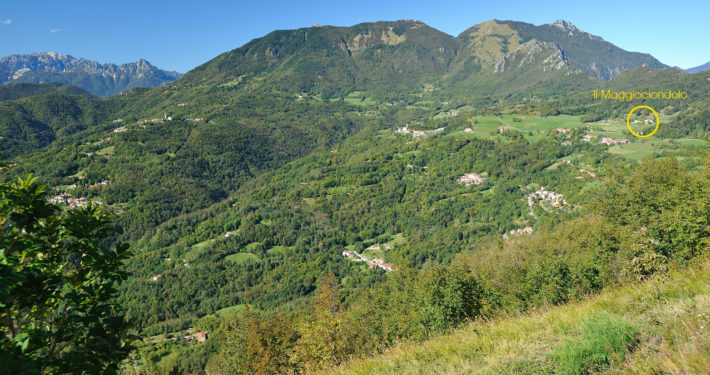 The agricultural tourism is situated on the Tretto Plateau in Contrà Proveste 1, near the hamlet of S. Rocco di Tretto, in the municipality of Schio (Province of Vicenza).